I just got home from my trip to Pervertville. This is the first trip I've taken in living memory during which I bought myself no books. I'm still surprised about this, even given my squeamishness as described in my previous post. The trip was very relaxing and enjoyable in every other way and it was while there that I finally completely recovered from my prolonged winter malady - triumph. Also, I began reading Marguerite Yourcenar's Memoirs of Hadrian on the train home, a book which I've been carrying around and not reading for years, and it is a damned fine novel. 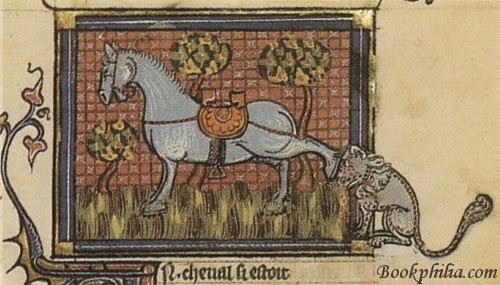 TRIUMPH! 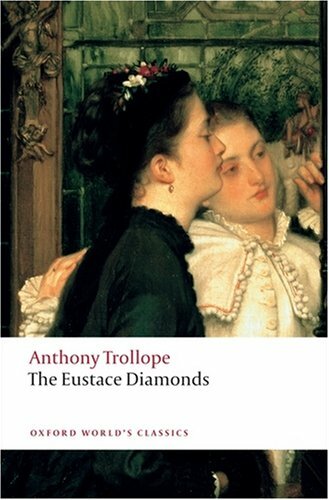 Yesterday, I finished reading Anthony Trollope's The Eustace Diamonds, the third novel in his series about the Pallisers. I enjoyed it - but not as much as the first two books in the series - and I didn't enjoy Volume 2 nearly as much as I enjoyed Volume 1. I really admired Volume 1 for the patience with which Trollope explicated the complexities of the novel's villainous and fatally selfish hero, Lizzie Eustace. I was pleased that he was taking the time to do so, because villains are so often 2-dimensional cliches of badness and madness. But Volume 2 didn't live up to the promise of its predecessor. The explication of Lizzie's character came to a rather screeching halt; both her dialogue and what the narrator said of her became extremely repetitious and therefore rather dull at points. As well, the fact that this novel first appeared in serial form in the Fortnightly Review was only too obvious - for plot details of import were repeated every two chapters or so in fairly obvious and uninteresting ways. AND, which I find most problematic about the novel - Frank Greystock is never made to account to anyone, human or divine, for his cruelty to Lucy Morris, because he makes things right in the end. I am as surprised as you are by my moral outrage about this but Trollope took so much time setting up Frank's weakness of character in the face of Lizzie's dubious charms that it seems either rushed or lazy (in any case, frankly outrageous) that he wouldn't also take the time to describe the consequences - or say anything at all about why there weren't any. That Lucy slavishly adores Frank is true - but this fact didn't read like a sufficient reason for Trollope's silence on this. Here's hoping book 4 in the series (Phineas Redux, I believe) is more even in terms of quality! Can't remember too much about this one (planning to reread the series in the second half of next year - I am THAT organised!). I think the later ones are better - 'The Prime Minister' for the politics, and 'The Duke's Children' for the family issues. Tony: I think Can You Forgive Her? is still my favourite of the three I've read. Looking forward to finding out how it all pans out.